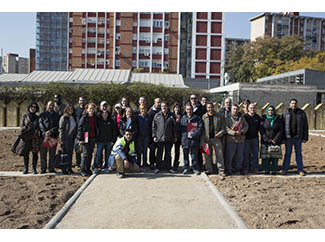 The municipalities of Cornellà de Llobregat (Barcelona) and San Agustín de los Reyes (Madrid) join to urban farming initiative that promotes respect for our environment through organic farming, obtaining products for own consumption; activists participate in it besides wanting closer ties with others in your community. 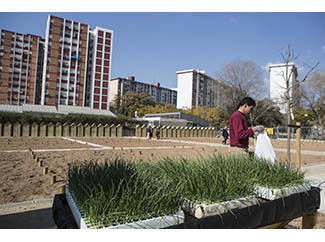 The presentation of '3C Grow Climate and Community' project in Cornella de Llobregat takes place on Thursday 19 February, with a small event in which representatives of the municipality and the Foundation. At the moment there are 17 activists who have joined the initiative. The facilities are located in municipal premises so far was in disuse. It consists of 36 plots, from which they will use 50%. In the case of San Agustín de los Reyes, the implementation of the project is imminent in the absence of some technical details. Currently there are nine committed and willing to participate activists. 3C has an initial term of two years, in which we work in areas such as: organic farming, sustainable use of resources, food security, nutrition, food preservation, marketing of organic products through cooperatives and local markets, medicinal plants and herbal medicine. The Foundation is developing this project in Leganés (Madrid) and Lliçà d'Amunt (Barcelona).